Soon after the departure of our house guests we determined that the dramatic shift between full steam ahead and full stop couldn’t be very good for a person so we jumped into the car and took a bit of a look for photos in the Nippenose Valley. On the way home we passed an old poultry barn that I had stopped at back in July. What I hadn’t noticed then was a beautiful pair of cast railings which were part of a foot bridge which spanned a small Susquehanna tributary stream. Its details were captivating. At first my brain sorted heart shapes from the metal … then lyres … and then clovers. It would be fascinating to know how my visual centers were wired to render this sequence. The effect was disorienting, so much so that I stumbled as I crossed the little bit of water to get from one side of the run to the other. 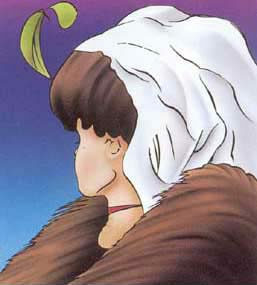 Have you ever seen the illusion which looks to some like a profile view of an elderly woman and to others like a profile view of a younger woman? This is an example of what is called an ambiguous illusion. Although I am not sure that we fully understand why you see the elderly women and then the younger women (or Visa versa) it is plain that the image sends misleading or uncertain visual signals. The effect is that the brain switches between alternate interpretations of the data in sequence. Perhaps this is why the cast railing caused me to stumble. My brain and visual systems were so busy trying to sort out the various stimuli that they ignored the precise control of the locomotor systems which were helping me navigate the stream. What image first presents itself to you when you look at the photo?